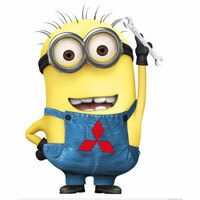 Is Mitsubishi getting desperate with the Lancer? saw one of them while a mate was car shopping.will admit the gloss roof looks mint, but apart from the "black" there isnt any additional features from the looks of it. if it included something unique that none of the other models have that would be mint. like vr has 2.0, VRX the 2.4, Black edition could of had a tuned 2.4 with ralliart intake and something else to distinguish it from the "normal editions"
Not sure how accurate their brochure is as there are some oddities/typos but under suspension it says it has a stabiliser in the rear, but then under mechanical it states sports suspension but no rear stabiliser bar. Also under steering it suggests hydraulic but again under mechanical says something different, that it has electric. And it has funny things like alloy pedals and stitched steering wheel but no paddle shifters . Was a totally missed opportunity to have an ES 'Sport' that had some of the sportier mechanicals. 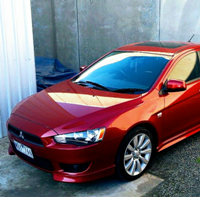 I think they made a mistake dropping the RA (not to mention EVO X) and yes the Black Edition is nothing many have done to their Lancers on this forum, new wheels and a bit of black paint or wrap. The front looks way better without the chrome, will be interesting to see how well it sells or the feedback deals get... maybe thats part of the reason its here. Lots of people not liking the chrome or some blacking out their CF and the dealers noticing the next time its serviced? Came across this and thought id post. 25% off Car Batteries @ Costco (Membership Required). Downside is you need to be a costco member, but you can always use someone's membership to get one, or get them to get you one. This week from Wednesday SCA has ToolPro 1600kg low profile jacks at 45% off, that just under $50! Also if you're a SCA member they are having a sale night this Wednesday night 5-7. Its easy to become a member just go online or in store. The supercheap sale this wedesday said from 20 to 60 % off. But never said what the discount was for. And watch your emails on Wednesday. looks like they are doing a minimum of 25% off everything in-store tomorrow only though! or you can buy now at the discounted price and pick up tomorrow. Ebay are having a huge deal on, just got a couple of USB cables for free, but had I been thinking I am sure I could have done better, I panicked okay! hey guys for anyone interested, there is a 20-60% off everything storewide at super cheap auto. only catch is its online and today only.